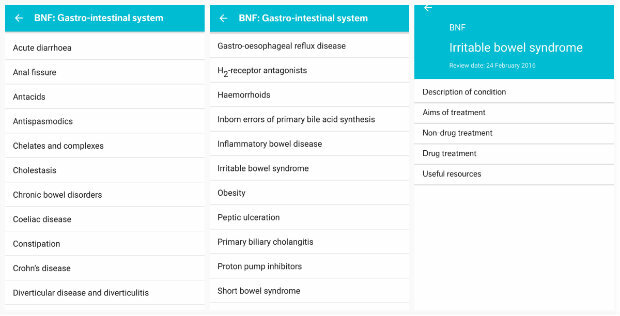 The British National Formulary (BNF) and BNF For Children have finally arrived as a combined app for both Android and Apple devices. This free-to-download app – available since June 26, but officially launched yesterday (July 13) – replaces the National Institute for Health and Care Excellence's (Nice) BNF app. But there will be a grace period of a “few months” when the Nice version will continue to receive updates, to allow users to familiarise themselves with its replacement. The app contains “the same content structure as the BNF print and web editions, and has been purpose-built for iOS and Android platforms”, according to its publishers, the British Medical Association and the Royal Pharmaceutical Society. It will be updated monthly with the latest BNF content, to ensure users are able to work with the most up-to-date information available. Once downloaded, the app allows users to search BNF content without an internet connection, the publishers pointed out. Unlike the Nice app, it can be accessed without an NHS OpenAthens password. When I first downloaded the app, I thought it was attractive, responsive and easy to use. Looks aside, I asked myself: what will I most likely be using it for? I concluded that when I work as a community pharmacist, there are several things I want the app to do, and used this to form the basis of my initial impressions. When you open the app, you are immediately faced with an ‘A to Z’ to help you locate a particular medicine. 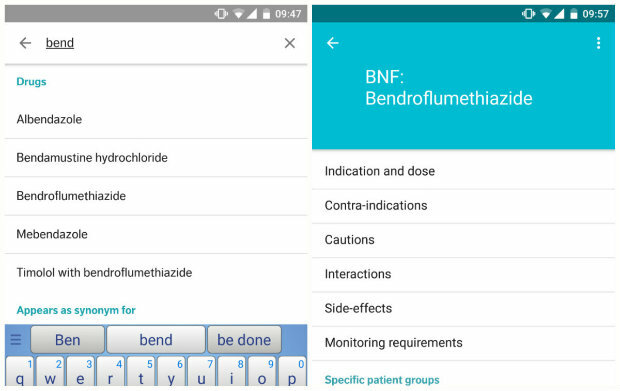 This is enhanced by a ‘smart’ search bar, which predicts your search so you don’t need to spell out the entire word – which would be a pain if you wanted more information about, for example, bendroflumethiazide. Once you have found your medicine, the app brings you to a page containing all the information in the drug monograph. This is broken down into sections – such as 'indications', 'side effects' and 'monitoring' – so you can quickly find the information you are looking for. When a patient presents at the pharmacy with a prescription, it is necessary to check if the new medicine interacts with their existing regime. With the print BNF, this is typically a laborious job of flipping back and forward until I find the correct page. 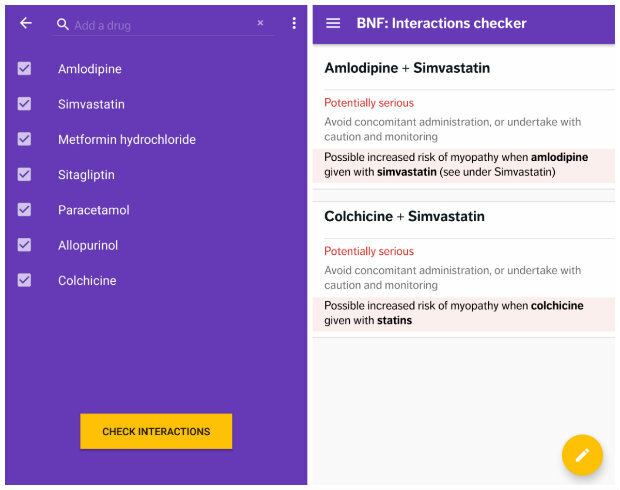 However, when using the app’s ‘interaction checker’, I was able to add several medicines at once to check their interactions. When you are finished, you simply click ‘check interactions’ and it takes you to a page with the interactions listed and explained – with potentially serious reactions highlighted. I use treatment summaries if I want to find out or refresh my memory of how a particular condition is managed. In the app, treatment summaries are arranged by body system. For example, irritable bowel syndrome is found under ‘gastro-intestinal system’. When you first open the 'treatment summaries' page, a long list of body systems will appear. However, you are still able to use the 'smart' search function to help narrow your options and find the content you are looking. Overall, I have thoroughly enjoyed using the app in the short time since I downloaded it, although there is one issue I have detected. Below are my takeaway points, and I hope that you will add your own in the comments section. Medicines can be looked up by brand. 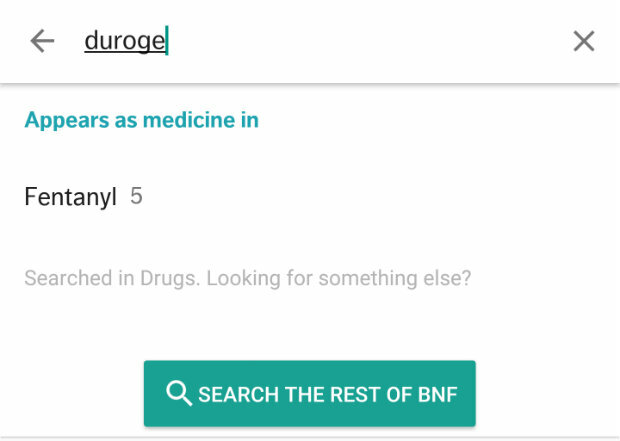 For example, if I search Durogesic, it informs me where it appears (under fentanyl). This might be an issue confined to my phone model – a Google Nexus 6P – but I have found that using my phone’s ‘return’ button takes you out of the app, rather than back to the previous page. I’d be interested to hear from C+D readers if this is an isolated problem, or if a similar issue is experienced by other Android users. Using the BNF app won’t come easily to everyone at first. But I predict that with practice, it will become an app most pharmacists won’t know how they lived without. The app can be downloaded from the App Store and Google Play. Watch Kristoffer's video demonstration of using the app below. It's excellent - been using it today. It's great that both BNF & cBNF have been combined in the one app - the only issue I have is that I would love the colour of the app to change or have some distinction when switching between the two version. I know the difference in the mongraphs is clear when you drill down, but at a higher level it would be useful. The change in format/front end in comparison to the NICE apps will take a little getting used to, but the interactions checker is one of the highlights. Well done on the developement of a robust and useful app Pharmpress. I have an Alcatel POP4 running Android version 6.0.1. The back button does what it should, and returns to the previous page. I only downloaded it yesterday, so I haven't had chance to use it in practice - I don't work Fridays. No issues with the back button on both my Android devices. Is it just me or has the information in the appendices disappeared? Where is the table of mean weights and heights?